Ashok Gehlot is an Indian politician from Rajasthan. He is Congress Party's national general secretary and in-charge of party affairs for politically crucial state Gujarat. He was the Chief Minister of Rajasthan from 1998 to 2003 and again from 2008 to 2013. He hails from Jodhpur city of Rajasthan in India and is a member of the Indian National Congress. He represents Sardarpura constituency of Jodhpur as Member of Legislative Assembly of Rajasthan. Ashok Gehlot, son of Babu Laxman Singh Gehlot, was born on 3rd May 1951 in a Hindu Rajput family of Mandore, Mahamandir, Jodhpur, Rajasthan. A Science and Law graduate, he also holds a MA degree in Economics. 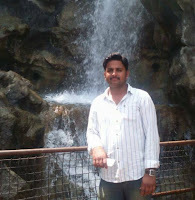 He is married to Sunita Gehlot and has a son and a daughter. He is a Hindu and a member of the Indian National Congress (INC) party. He was influenced by the teachings of Mahatma Gandhi at a very young age and was actively engaged in social political work even as a student. During 1971's East Bengali refugees crisis he served in the refugee camps in the eastern states of India. It is there when former Prime Minister Mrs. Indira Gandhi first identified his organizational skills during one of her visits to the refugee camps. Gehlot was later appointed the first state president of National Student's Union of India and successfully organised Congress's student wing in the state. Ashok Gehlot is considered as one of the most popular Chief Ministers of Rajasthan. During his tenure as Chief Minister of Rajasthan he was strong on development. He is often credited for his excellent drought management and creation of 7 million-days' employment during severe droughts in Rajasthan. BS: My name is Brijpal Singh. BS: My batch year was 2006? BS: My batch mates were Pushpendra Singh, Yogendra, Ajaypal, Rahul Sharma & Raguveer Singh. ED: Have you ever participated in any activities, tournament s etc.? BS: Yes, I have participated in Football, Hockey and all sports activities. BS: My present qualifications are B.Tech (Electrical). BS: It was a great experience and the school is awesome. Wednesday, 16th August: Staff had PDP Session on that day. First Mr. Ajay Vijaywargi read out a thought from the book “Can We Teach a Zebra Some Algebra “by Debashis Chatterjee”. Staff then discussed their opinions and sent a write up with graphics and photo to Mr. Ajay. 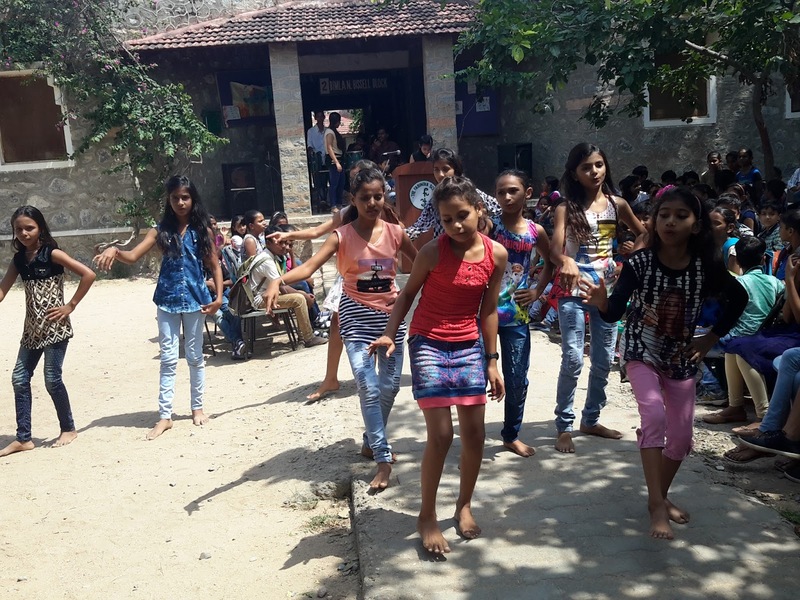 Then they got themselves divided into their groups and prepared a presentation based on the stories from the book” Is your Child Ready to Face The World by Dr. Sibal”. Staff wishes Ms. Kusum Dangi a Happy Birthday and best wishes for her bright future. Ms. Monica Vaishnav was selected as the Teacher this Week for her sincerity and hard work towards her teaching. Congratulations. MVV: I joined the school in 2011. MVV: Mrs. Parineeta Ranpal was the Principal at that time. MVV: There was a good environment. 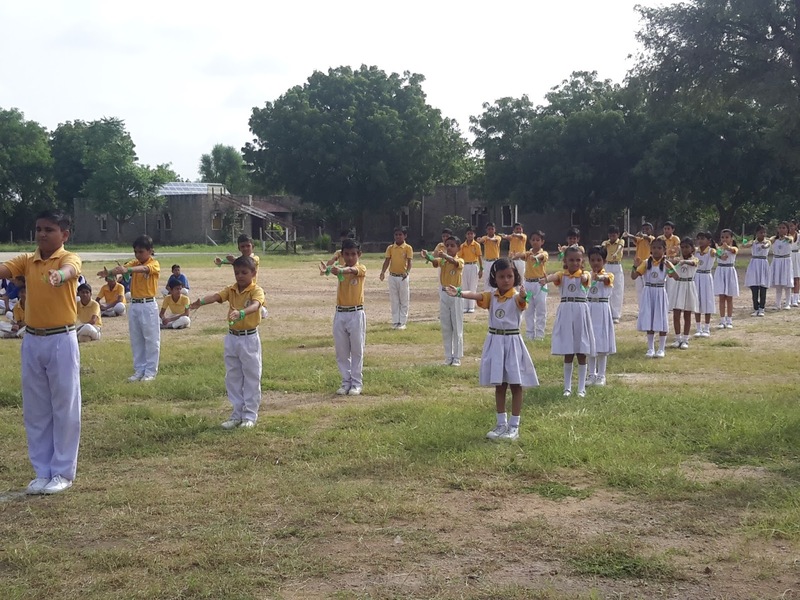 All students were disciplined and well-mannered and all teachers were co-operative and helpful. MVV: I used to teach Class II, III and IV..
MVV: My qualification is M.A, BEd. MVV: I expect from all the children to be respectful towards their elders and others to be good citizens. MVV: Yes, I taught in Noble School and Aadarsh Vidya Mandir. MVV: I would like to give a message to the children that they should have a dream and try their best to fulfill their dreams. Ajaypal Meena/ X/ GH was selected as the Student this Week for scoring maximum number of goals (Out of 23 teams) in Under 17 District Football Tournament. He shared his experience with the students and told them how nervous he was on the field. But when Mr. Tarun Mishra motivated him his confidence level boosted up and he was able to score the maximum goal record in the tournament. Congratulations Ajaypal and always remain confident. Tuesday, 15th August: Finally the Independence Day arrived, for which the school was practicing for so long. 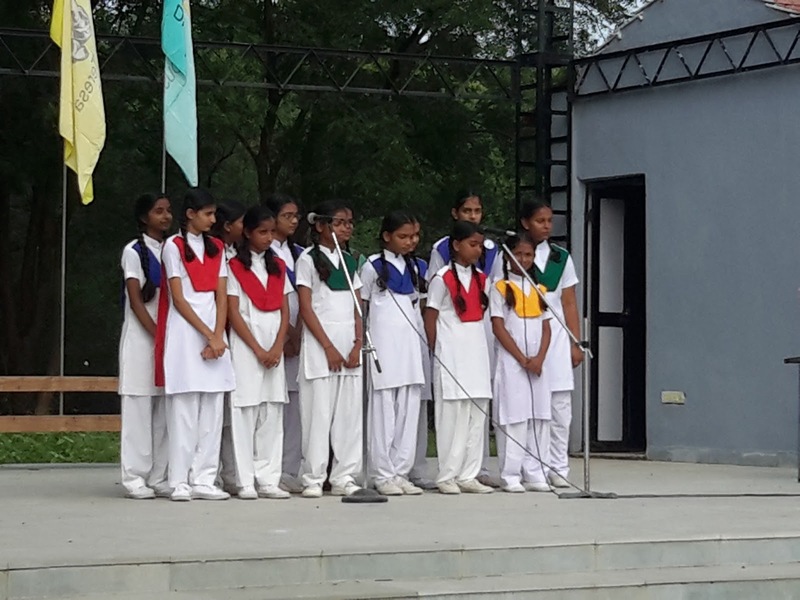 Principal, Mrs. Rajshree Shihag as the Chief Guest, hoisted the flag. After the National Anthem, the parade was inspected by the Principal. The students marched and did a PT display. Vice-Principal Mr. Byju Joseph spoke on freedom fighters and gave Vote of Thanks. 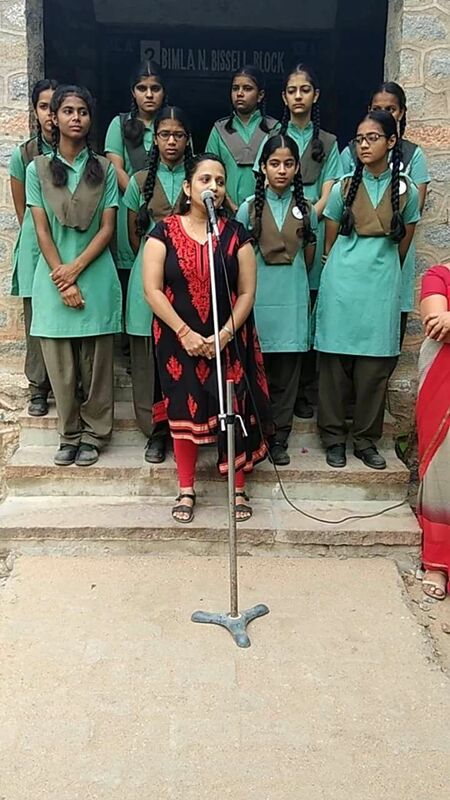 Principal spoke encouraging students to understand the meaning of the freedom from mind sets and told them about the four messages given by former President Dr. AJP Abdul Kalam. Meenakshi Choudhary/ VIII/TH anchored the function. Krisha Dave/ IX and Kreena Rao/ IX spoke a few words on that day. 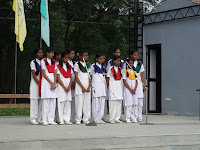 Students of Middle Section presented Patriotic Song. Mr. Ramesh Choudhary/ Parent sang a Patriotic Song and Mr. Shrvan Dave spoke a few words and told about the importance of Independence Day. They judged the parade. Once the whole function got over sweets were distributed among students. 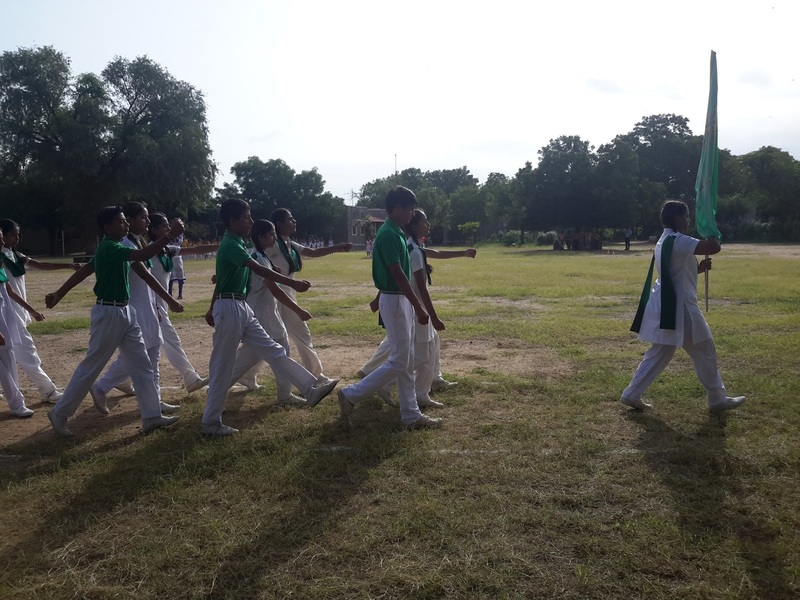 For the ID parade, a representative contingent was sent to Government Senior Secondary High School, Bali, to participate in the 15th August March Past Parade. They stood First Position in the parade. Congratulations. This book is a wonderful example of how parents and teachers can prepare their child to become a good citizen. It elaborates on how we can deal with children's challenges in future by sharing our own and others' experiences with them. The numerous qualities described in this book, such as courage, hope, determination, and humility, are the values that every parent wants to see in his or her child. It is the duty of teachers and parents alike to inculcate these qualities in their children in order to help them achieve their goal in life. A child must have courage to give his opinion and stand by what he believes in. He must also possess the ability to accept the reality and truth whenever he is wrong. It is important that that we learn from our mistakes in order to prevent them from recurring, and the first step in this regard is accepting them. I would like to share an example of how this book can help us in our classroom. There is a girl in class V - Navya. When her teacher distributed the exam sheets to the children, Navya did not secure the marks that her mother was expecting. Her mother had told her that she must get more than 90 marks in all subjects because she had made her study hard. Navya was under pressure as she feared she'd get scolded and punished if she told her mother about her marks. As a result, Navya gave fake scores to her mother. When Navya’s mother came to take the report card, she told the class teacher that this time Navya had got more than 90%. The teacher thought she had misunderstood the grading system. She explained it to her. Navya’s mother was shocked that her daughter had not been honest about her marks in any subject. Her actual score was less than 70%. She was very angry and decided to give Navya a hard time. She told the teacher that she had taught her daughter well but could not understand why she got such low marks. There were students who had scored full marks. The teacher asked her to calm down and ponder over why Navya lied to her. Her mother responded by saying that the fear of getting punished must have caused her to lie. The teacher tried to explain that Navya was left feeling under pressure due to this. 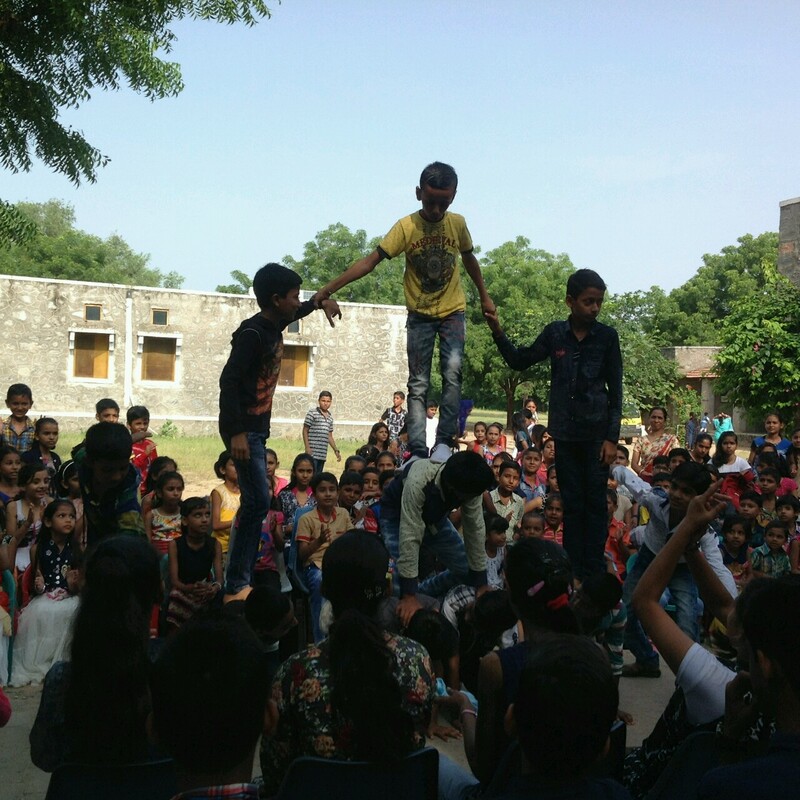 All children are different and their performances are also different in every subject. Navya may have interest in other activities and should not be compared with others. No one is perfect in this world and everyone makes mistakes. The same applies to Navya. The teacher advised the mother to be patient with Navya so that the child can share her feelings comfortably. A person cannot work properly under pressure and sometimes ends up making a wrong decision to escape from the pressure. Putting pressure blocks all communication and increases the chances of the same mistake being repeated in future. Navya’s mother realised that she needs to trust her child to dissuade her from hiding anything in future. She also needs to be more polite with her in order to understand her better. She should not mount expectations on her. This will only put her under pressure and will bring her performance down further. She decided to help her child explore her interests and hone them. Saturday, 12th August: The School Football Team secured third position in Under 17 Football Tournament. Three students Suryabhan Singh/ X, Parikshit Singh and Yuvraj Singh are selected for the State Level Tournament. They will represent Pali District Team. The School is proud of them. Congratulations to all who are responsible for their success. 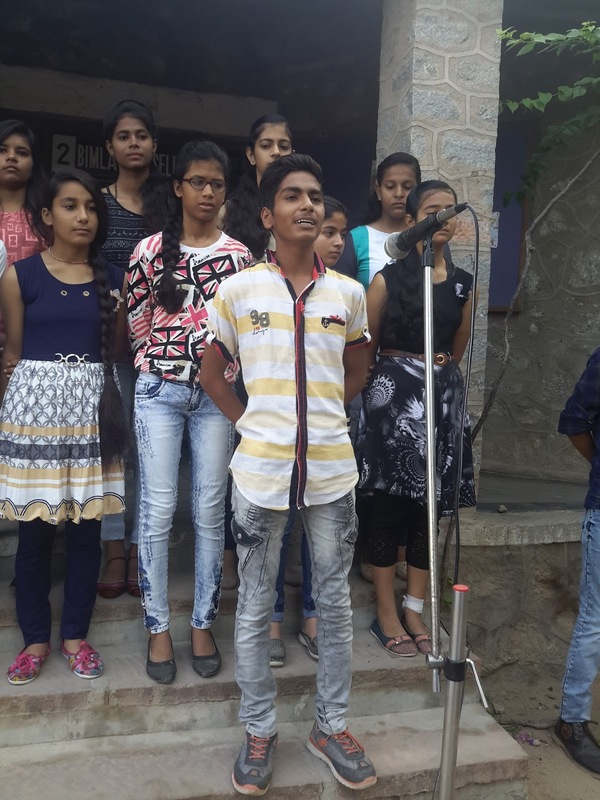 Thursday, 17th August: Class IX presented a Radio Show under the guidance of their English Teacher Mrs. Bharti Rao. 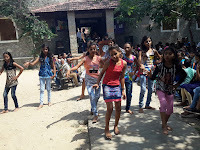 The whole class participated in it. They presented School’s history, news, quiz, interviews, jokes, enacted advertisements and sang a song. It was presented during break time and they presented a beautiful show.